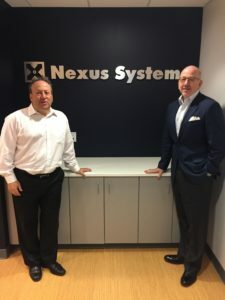 Kevin Carr is the vice president of sales for Nexus Systems, where he leads a team that includes direct enterprise reps, inside sales, SDRs, and sales operation. Kevin has more than 25 years of high-tech sales experience, of which more than 20 were in leadership roles. He’s led teams from 2 to 250 with quotas as high as $250 million. Prior to Nexus, Kevin was senior vice president of sales at Deltek. Fred Diamond: Kevin, we’re going to talk about your career today. I want to hear your story. I want to hear some great examples of your success, and I want to get some of your tips for sales professionals who want to get ahead. So, let’s get started. Kevin, how did you get into sales as a career? Kevin Carr: When I was in college I got a job part-time with MCI. I’m kind of dating myself, because MCI doesn’t exist anymore. But for those of you out there, MCI was a telephone company, and I got to sell long-distance services. I had a really good run at MCI. I then got a job selling office equipment, copiers, and fax machines with a Canon dealer in the Washington, D.C. area. Fred Diamond: Okay. Where’d you go to school? Kevin Carr: I went to Towson, just outside of Baltimore. Fred Diamond: Are you from the D.C. area? Kevin Carr: I am born and raised as a third-generation Washingtonian. Fred Diamond: Tell us a little bit about what you’re doing today. Tell us a little about what Nexus is and what you sell and what excites you about that. Kevin Carr: Nexus Systems is an enterprise SaaS software company that does procure-to-pay in the real estate vertical. We help large multifamily real estate companies pay their bills faster and more automated. Fred Diamond: What attracted you about Nexus to come here? Kevin Carr: What attracted me the most is our founders, Tom and Jennifer Coolidge. They started this company around 15 years ago, and they just bootstrapped it very successfully and very profitably for 15 years, never taking any outside investment. And then they were approached by an investment capital company out of San Francisco called Mainsail Partners. Mainsail helps bootstrap companies in particular to get not just to the next level but to the next four levels. So when I met with both Tom and Jennifer and then ultimately with the Mainsail team, I was really excited about where they wanted to go, and I wanted to be part of that journey. Fred Diamond: You mentioned software as a service. Has this been a big change for you, having sold enterprise software for the past 10, 15 years of your career? Kevin Carr: It really is. I think I was first exposed to the SaaS software Deltek. When I got there it was just a pure-play perpetual software company, and then we introduced products into the market as SaaS-based. And as I’m sure you know now, SaaS has just transformed the entire software industry. So if you don’t have an offering as a software as a service you really just can’t be very competitive. Fred Diamond: Let’s go back to the beginning of your career. You mentioned you worked at MCI and in retail. What were some of the key lessons you learned at your first few sales jobs that have carried through to you now? Kevin Carr: [Sarcastically] Well, I’m sure everyone loves to be called during dinner to be sold something over the phone. I learned at MCI persistence, and I learned how to overcome rejections when you’re really calling the person at the worst possible time. You had to have a really good icebreaker. You had to have a good script. Then, going into office equipment, for those of you who sold copiers and fax machines, that’s a door-to-door sales job. You’re going door to door in large buildings in the D.C., Bethesda, Rockville area, where all the signs say “No Soliciting.” They don’t like salespeople. You had to do the same thing: You had to be very persistent and very persuasive to not take the objections personally when they ask you to leave the building, literally. But you get to do a lot of practice. You go into a large high-rise in Bethesda. You’ve got 40 chances to make a sale and to make an impression and practice, practice, and practice. So what I learned the most in those years was really the persistence of not taking no and not taking it personally. Fred Diamond: For a lot of the young people who are listening in today, door-to-door sales what was a great example of something where you just had to persist… Any memories come back to you about knocking on those doors? Kevin Carr: It’s funny you asked that question, I remember I was spending the day with my manager doing cold-calling. We were going through a building in Rockville, and we walked by these doors of a CPA office and there was a taped piece of paper on the door, big words, “No Soliciting.” It said, “We don’t need fax machines, copiers, toner, paper, artwork, paper clips, etc.” So my boss says, “Well, we can’t go in there.” I said, “No, we have to go in there. We have to.” So we walk in and the woman said, “What are you guys doing?” She got very defensive very quickly. “Didn’t you see the sign?” I said, “Oh, of course, I saw the sign. That’s why we’re here.” And she was, “Well, what do you mean?” I said, “Well, it’s just taped on the door, doesn’t look very professional. I suspect you can rip it down.” And she pulls out a lot of paper. She goes, “That’s why I print these things off. I replace it about twice a day. What do you guys want?” I said, “Well, we sell ‘No Soliciting’ signs. In fact, we sold the one in your lobby.” And that got us a little crack in her armor. She laughed. We didn’t make a sale out of it, but we learned, and my boss learned that I would do just about anything to make a sale and get in front of a prospect. Fred Diamond: Good for you. We talk a lot about roadblocks and gatekeepers and how you get past them. You have to be creative. You have to have take chances. Kevin Carr: There’s a great quote by Abraham Lincoln: “People don’t fail, they quit.” I’m sure a lot of salespeople saw that sign that said “No Soliciting” and would never go in. So that kind of opened my opportunity because I had less competition, because I’m the only one who’s going to walk in. Fred Diamond: All of the sales leaders that we interview on Sales Game Changer Podcast have had mentors who had a tremendous impact on them and their career. 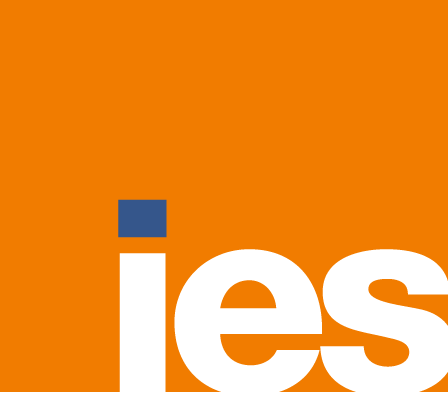 Who was an impactful sales mentor for you, and how did they impact your career? Kevin Carr: The person who had the most impact on me was Mike Miller at Computer Associates. Mike actually worked at the same copy dealer that I did. Now, I had no experience. I didn’t know what a mainframe computer was. I didn’t know what software was. Mike helped me break into CA but also taught me about the mainframe and about software. A great bit of advice he gave me was “Tape-record presentations,” and I would tape-record them and listen to them in my car because, at that time, CA probably had 200 products that we were responsible for. Through just the repetition of the presentations and different people’s styles, it taught me how to better train myself to be a better salesperson. From the relationships I had at CA, I eventually got a job at Candle Corporation. At Candle I started off as a sales rep here in Northern Virginia and eventually worked my way up to the vice president of sales. I would not have done that had it not been for the experience I got at CA. Fred Diamond: You mentioned repetition, listening to the presentations over and over again, practicing the presentations over and over again. Do you think sales professionals today take too many shortcuts and want a silver bullet? Kevin Carr: We didn’t have access to the internet when I was at CA and, for the most part, my early career at Candle. So if I wanted information about a customer, I would write to them. I’d get their annual report. I’d go to the library. I would get magazines, and I would actually have to do the work. Now we have access to so much information that most people do take shortcuts. They go in unprepared… There is access to information, and it’s there to be had. Fred Diamond: Take us back to a specific sales success or win from your career that you’re most proud of. Kevin Carr: I was working at Deltek, and I was managing a sales executive by the name of Andreas, and he and I were working on an opportunity to sell a large ERP to a government contractor here in Northern Virginia. It was probably in excess of $4 million with software, professional services support—very competitive, and at the end of the day, there was very little discount. But we never actually demoed the software! Imagine that. We made a $4 million sale and the customer never saw a demonstration of the software, and they’re happy. We didn’t pull the wool over their eyes. But we are really true to our sales process and spent all of our meetings qualifying the customer and understanding what their pain was, understanding that their pain was going to be time-induced and using that as leverage to make a sale very quickly. But they didn’t actually see the software until they had bought it. Fred Diamond: That’s incredible. A lot of times today people think it’s about the features and the benefit and looking at the demo and how quickly can I get you to see a demo. But here is a $4 million sale and the customer didn’t even see the software until they purchased it. Fred Diamond: You’ve had a great career in sales. We’ve talked about your successes. Did you ever question being in sales? Was there ever a moment when you thought to yourself “It’s just too hard” as you’re lugging those fax machines around or getting those signs that say “We’re not buying anything that you’re selling”? Did you ever have any of those moments in your career? Kevin Carr: Well, we have them every day. Sales is a grind, and it’s tough, and now that the customers have phones that have caller ID and they can hide behind email, it’s very difficult. The kind of approaches and tactics, if you will, we used to use to make a sale, now we have to use just to get somebody on the telephone. So it’s a lot harder than it used to be. But the satisfaction at the end of the month and at the end of the quarter of making a sale, whether it’s a big sale or a small sale, more than makes up for that. Fred Diamond: Yeah, there’s nothing like making the sale. There’s nothing like when you know that the customer is going to be going with your product, your offering, your technology, and you know that you’re going to offer them some good by doing that. Fred Diamond: What is the most important thing you would want to get across to junior sales professionals to help them improve their career? Kevin Carr: There’s a number of things. The opportunity is unlimited. The opportunity to make what I like to say is life-changing money is out there for anybody who’s in the sales career, but it’s not easy. It takes a lot of work. Oftentimes a new sales rep or a junior sales rep will meet one of the most experienced and successful reps in the office and they’ll think, “Oh, this must be easy because they’re a normal person. We’re talking about the same kinds of things around the water cooler.” They don’t realize how hard that [the other reps] worked to the point where now it looks easy, and they will take those shortcuts as you mentioned before. If they want to be successful they’ve got to practice their craft. They’ve got to do the research, and they’ve got to put in the time. It’s disrespectful to the prospect when a salesperson just goes in and wings it. We have access to information. We have access to information about the client. We have access to information about our competitors. So it’s never been easier to be a well-informed salesperson, but you’ve just got to take advantage of everything that’s out there. Fred Diamond: What are some of the things that you’re doing today to stay fresh, to sharpen your saw and to stay at the top of your game? Kevin Carr: There’s a great quote by Vince Lombardi. It says, “Practice doesn’t make perfect. Perfect practice makes perfect.” We do a lot of role-playing here at Nexus, and we did a lot of it at Deltek and the other companies where I’ve been running sales. The salespeople will practice their sales, kind of live fire, on a daily basis when they come into my office and ask for advice. I give advice in a role-play scenario because I want to hear what he’s going to sound like over the phone or in front of the customer. We also do weekly role-playing as a group and one-on-one, etc. I emphasize a lot of training in my organization. We do it all the time. That’s a big differentiator between us and, I think, other companies. Another thing that we’re doing is we’ve really embraced metrics. I’ve got a great sales operations team here at Nexus. The old attitude of “sales is a numbers game,” that’s true, but what are you measuring? If I make $100 a day but I don’t speak to anybody, well, so what? So what are we measuring? Dials or phone calls, the length of a phone call, who I’m speaking to on that phone call, the number of demonstrations that I’m doing, conversations with power, as we like to say—people who have access to money and could spend money? We really try to hone that, and we use metrics and dashboards so the sales team sees on a weekly basis where they are compared to their teammates, where they are compared to their quota and objectives, whether that quota is number of conversations, number of demos, or number of sales. Really embracing the metrics ground, high-performance sales. Fred Diamond: You mentioned that your door is open to sales professionals to come in, for your team to come in and talk to you and ask for advice. What are some of the things they’re complaining about today? What are some of the things that you find your team is having problems with? Kevin Carr: The challenges are always the same… Salespeople look for any nugget of good news, and they move forward with that. One of my pet peeves is when a sales rep says, “It was a good sign.” “Hey, they called me back, that’s a good sign.” “They opened my email, it’s a good sign.” What I look for is holes in the process. Where are the holes? Don’t tell me what you know. Let’s find out what you don’t know. That’s the challenges sometimes, especially with the younger people in my team. They can’t believe that the customer is withholding information, which is always kind of surprising to me. Fred Diamond: So, you have that experience. How do you impart [the importance of] that patience? “It’s great that he opened the email,” but they also need to do these five things to get to the next stage. Kevin Carr: We have built a very definitive and repeatable sales process here at Nexus, and we built that into the sales force. We go through the steps, and they have to go through the steps, and they know that there are no shortcuts. Having a sale is kind of like going through a canal. You can’t skip a few locks to get ahead to the boat in front of you. You’ve really got to be true to the process and follow the process. What’s been most eye-opening to most salespeople I’m interacting with now is that the buyers are better trained, that there are literally software, enterprise software training companies that only train buyers, and it’s understanding what is a tactic that a buyer is using versus what is not. I don’t think people realize that they are much more informed and trained on the buyers’ side than they ever were, and that’s a realization that most salespeople need to understand very quickly. Kevin Carr: When I got to Nexus, we were primarily an outside direct sales organization, and what we’re doing since Mainsail made the investment is investing in both inside sales and inside lead development. We’re trying to augment the bigger deals to have our enterprise reps focus on larger transactions, which do take longer—augment that with an inside sales channel that can close two deals a month and six deals a quarter, which is really going to just give us exponential growth as a company. So, it’s really focusing on inside channel, inside lead development, and then, as I mentioned earlier, using metrics to drive that better behavior. Fred Diamond: What is it about sales as a career that keeps you going? Kevin Carr: One thing I also tell my reps is “Don’t leave a voicemail.” Don’t put the responsibility to make the sale on the prospect. My job is to get them on the phone. If I leave a voicemail and say, “Call me back when it’s convenient” and they don’t call me back, then that kind of plays with your head that they’re not interested. So I would avoid leaving voicemails. Same with emails. Emails is just to remind them about the meeting that we’re going to have or “Hey, here’s the information that I promised you I’m going to send it in an email.” I’m not sending an email with the subject line “Looking for an update,” because that’s not selling. So what keeps me motivated, one of the reasons I came to Nexus, is I enjoy training early-stage salespeople, people who have just got into sales—maybe it’s their first job, maybe it’s their second job—and shaping them to the point where they can make life-changing money. It is a great career. It’s not easy, but it’s one of the few careers that you can have that the income is unlimited. The opportunities are unlimited. I was thinking about this when you and I began emailing about this conversation, this podcast. Sales has afforded me everything that I could imagine. I’ve got a nice house. I’ve got financial security. I’ve got three kids, one’s in college and two are going to college; I have that paid for. I’ve also had the opportunity, whether it’s been in direct selling or doing some sales training, to be in every major city in the world. So the experience that I’ve had has been incredible, and I owe everything to sales and everything to high-tech sales. I couldn’t think of a better profession. Fred Diamond: Give us a final thought that you can share with our listeners today to inspire them to become true sales game changers. Kevin Carr: I think nowadays people respect the fact that high-tech sales is not just a great way to make a great living; it’s actually an honorable profession, and you should treat it that way and treat the customers with the respect to do that investing I talked about earlier. If you put in the work, you can make life-changing money, and that is going to have an impact on you, hopefully your family, your friends, everybody that’s around you. It’s just a great profession.